HOLBEIN, Hans, the Younger, one of the first masters of German art, was b. at Grunstadt in 1497. He learned the rudiments of art from his father, Hans Holbein the elder, also a painter of great merit (b. 1450, d. 1526). When little more than 16 years of age, he adorned several houses and churches at Basel with portraits, frescos, and altar-pieces. Tradition has preserved many of his droll sayings, and his life is as rich in anecdotes as those of the greatest Italian painters. Holbein growing tired of Basel, Erasmus, who took a great interest in him and endeavored to induce him to abandon his irregular course of life, introduced him to sir Thomas More, who kept him employed in England for nearly three years, and then invited Henry VIII. to view the pictures. Henry, surprised and delighted, exclaimed: �Is the artist still alive, and is he to be had for money?� More presented Holbein to the king, who took him into his service and rewarded him liberally. Holbein continued to reside in England, highly esteemed and fully employed, till, in 1554, he died with the plague. Though chiefly, and at many periods of his life almost exclusively, a portrait-painter, in this style ho stands on a level with the great Italian masters, and takes precedence of all his German contemporaries. His portraits are not ideals, but nature apprehended in its most intellectual features; the execution is rich and perfect. To the earlier part of his career belong his most celebrated paintings, including �The Last Supper,� �The Dance of Death,� several pictures in the Dresden gallery, two famous portraits of courtesans, etc. At a later period his execution is slighter, and his style of coloring not entirely free from the mannerism of those Flemish painters who had studied in Italy. 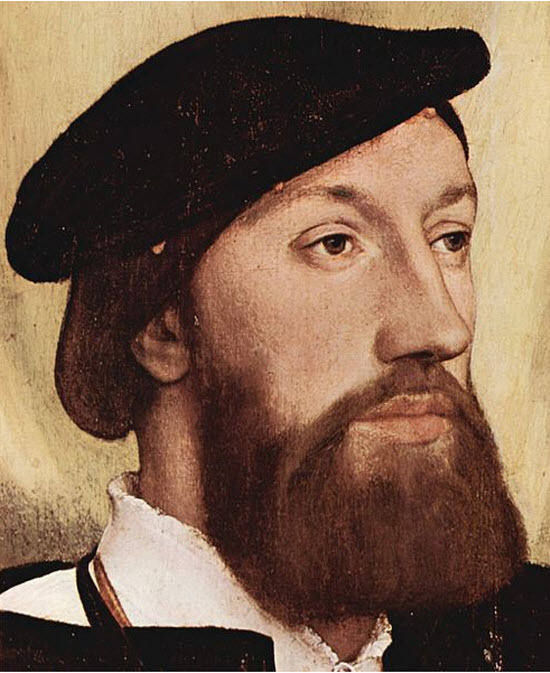 Some splendid and able portraits by Holbein, belonging to this period, are to be seen in the Louvre at Paris, in the Berlin museum, at Longford and Windsor castles. Eighty-seven sketches of persons belonging to the court of Henry YIII. by Holbein are still extant. 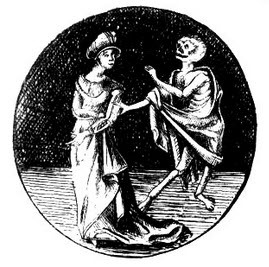 His �Dance of Death,� the illustrations of the Old Testament, and three sets of alphabet initials, would certainly entitle him to rank as one of the first wood-engravers, supposing them to have been not merely designed but likewise engraved by him. This opinion has, however, been disputed, and the question remains undecided at the present day. A selection from Holbein�s pictures in the library at Basel was published in lithographs in 1829, by Birmann & Sons, at Basel.�See Wolkmann, Holbein und seine Zeit (Leip. 1873-76).